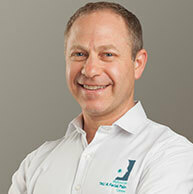 Darron has 24 years’ experience treating TMJ disorder, face and neck related conditions. His qualifications include a post graduate certification in manipulative therapy as well as craniosacral therapy. Darron has attended many post graduate courses and has travelled internationally to spend time with leading TMJ experts. Darron regularly attends local and international conferences on Temporomandibular Disorders and Oro-facial Pain. He has presented talks to Dental Special Interest Groups, Physiotherapy Groups and to both Dental and Medical Practitioners. Darron is a member of the Australian Physiotherapy Association (APA), the Australian Branch of The American Academy of Craniofacial Pain (AACP) and an member of the Australia New Zealand Academy of Orofacial Pain (ANZAOP) Darron is supported by a dedicated team of administration staff to assist you with your appointments and enquiries. 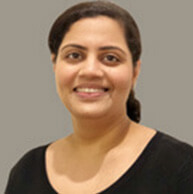 Surbhi joined the team at Melbourne TMJ & Facial Pain Centre to further her special interest in head neck and jaw pain conditions. 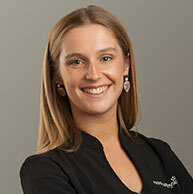 Surbhi has worked closely with Darron Goralsky our Principal Physiotherapist & Director, to enhance her own clinical approach by incorporating the very specific and advanced techniques and approach, that Melbourne TMJ & Facial Pain Centre has become well known and highly regarded for. 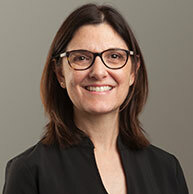 Shan’s special interest in jaw (TMJ), facial pain and related conditions stem from being a suffer himself. 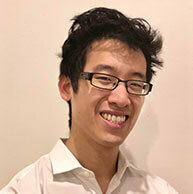 He graduated from Monash University with a Honours Degree in Physiotherapy and has gained invaluable experience from observing and training in multiple private practices across Melbourne. 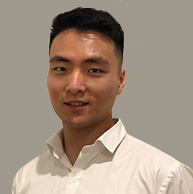 Shan’s passion for continuously honing his clinical skills for best patient outcomes has seen him attending multiple professional development courses which in 2018 alone includes various manual therapy courses, spinal rehab courses, multiple dry needling/acupuncture courses as well as courses by some of Melbourne’s leading expert in the in managing TMD (Temporomandibular Disorders). 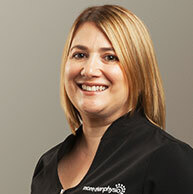 Having had extensive training by Darron Goralsky - Director & Principal Physiotherapist of Melbourne TMJ & Facial pain Centre and other senior Practice Clinicians, Shan embodies our practice’s passion for addressing the causes and not just the symptoms of these often poorly managed conditions. He is always focussed on educating his patients to understand their condition and to provide them with strategies to the be able to help themselves. As a bilingual, fluent Mandarin speaker, Shan is a favourite with our clients who have a preference for communicating in Mandarin. 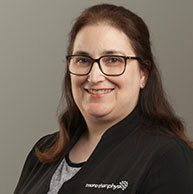 Our clinical team is supported by a dedicated and passionate team of people who make your experience with us as smooth and efficient as possible. Please don't hesitate to let us know if there is anything else we can do to assist you. Some TMJ disorders and facial pain problems may require further investigation and other specialised dental or medical type treatment. For this reason, we have a close working relationship with a number of specialists with an interest in TMJ conditions and facial pain. General dentists with special interest in TMJ conditions. to experience rapid relief and lasting results of your jaw pain, face pain or sleep related issues.